Looking for a trusted business cleaning service company? Then Better Cleaning Company is the kind of local efficient commercial cleaning company you want. 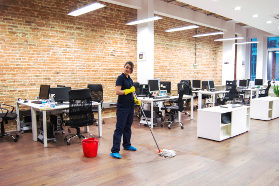 Our office cleaners always provide high quality cleaning to all kinds of businesses in the area. For a fast and free price offer just call 020 3746 3201 or send an online inquiry below. The customer support personnel will react anytime of the day. We are able to offer local eateries, shops, malls, supermarkets, department stores, restaurants with high quality, harmless and efficient commercial cleaning done in compliance with all health and safety operations. Our retail and restaurant cleaners can clean after work hours and on weekends and bank holidays, so as not to interrupt the work process. We use exclusively certified and proven cleaning detergents which are safe for people, pets and the environment. As a commercial cleaning Edgware HA7 company, we constantly invest in the purchase of the latest and primary cleaning gear and resources. All of our services are completely covered and offered at an excellent rate. We will make a personalised deal for your needs. If you take more than one services, you will receive a unique discount. We are the recognised company in Edgware HA7 and our expert cleaners are able to refresh different kinds of upholstery and rug. Our company provides office cleaning Edgware HA7 available 365 days a year. You can effortlessly order our cost-efficient cleaning services by calling our 24-7 020 3746 3201 or fill in our online order form here. Local business owners can acquire favourable regular office cleaning contracts. We have a sensible pricing system, with fixed prices, no hidden fees and no deposit for a service. Make certain your commercial premises are completely sanitary and clean - book our commercial cleaning service today!